The Academic Group offers comprehensive medical malpractice insurance services to medical faculty, residents and students; with a commitment towards the promotion of patient safety programs, ethical governance and proactive claims defense and management. My goal was to educate Academic's EVP and Chairman by providing a comprehensive real estate assessment of the NYC office market. An educated client can proactively adjust their expectations based on market nuances. Coming out of a long term lease with a newly robust real estate economy and a market experiencing a roller coaster ride, they needed to be conversant with what they faced. Conversely, I needed to know their real estate expectations, their corporate direction and unique characteristics that their next big move would showcase. Our initial objective was for Academic to grow substantially at their current location by negotiating a lease renewal for their current floor while increasing their space by 50%. Through 6 months of negotiations it became clear that the landlord's objectives did not mesh with Academic's objectives. My recommendation was to consider alternative options and develop a strategy which encompassed a convenient location, easy access for it's Board of Governors and Management Team and a property to showcase their leadership position. We targeted Park, Madison, Fifth and Sixth Ave, primarily the East/West Midtown corridor with the challenge to stay within tight budgetary constraints. We made multiple offers with multiple properties, with the strategy of pushing the markets pricing envelope. Ultimately 99 Park Avenue, The American Distillers Building, a spectacular property completed in 1954, rose to the top of their list. It struck the right cord of class, convenience, pricing and functionality. The property was designed as a corporate headquarters and incorporates many characteristics that a custom designed building affords. The facade is entirely clad in aluminum, a first for a NYC building and distinguishes itself through its design. 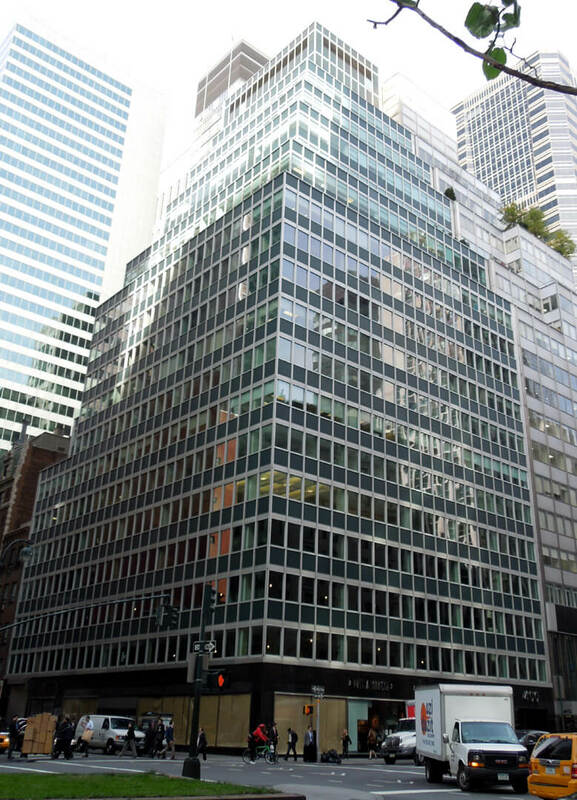 The 23rd Floor, with a 10,000 sf floor plate, was ultimately selected for lease by Academic. Featuring a fully panoramic unobstructed view, their offices now look out at the Brooklyn Bridge, Chrysler Building and Empire State Building. The space now hosts their Board meetings, formerly held off premises due to lack of space. The floor also features a very large west facing set-back permitting a flood of natural light. Academic's move was seamless; moving out of their former location a few weeks before their lease expired and moved into 99 Park Avenue the next day, on time and allowing them to enjoy multiple months of free rent. I negotiated all aspects of their lease parameters, all the way to down to providing a mover, IT specialist to get them up and running and a few bottles of aged Scotch to toast their new headquarters.